When I first heard that Lauren and Kyle were having a Beauty and the Beast themed wedding, I was beyond excited. I, myself, am a HUGE Beauty and the Beast fan. I actually wore the Belle dress for my own wedding. <3 Lauren and Kyle actually got engaged out at Disney and brought along some of their awesome Disney World swag including Mickey Mouse ears and the pins they got there after Kyle proposed. 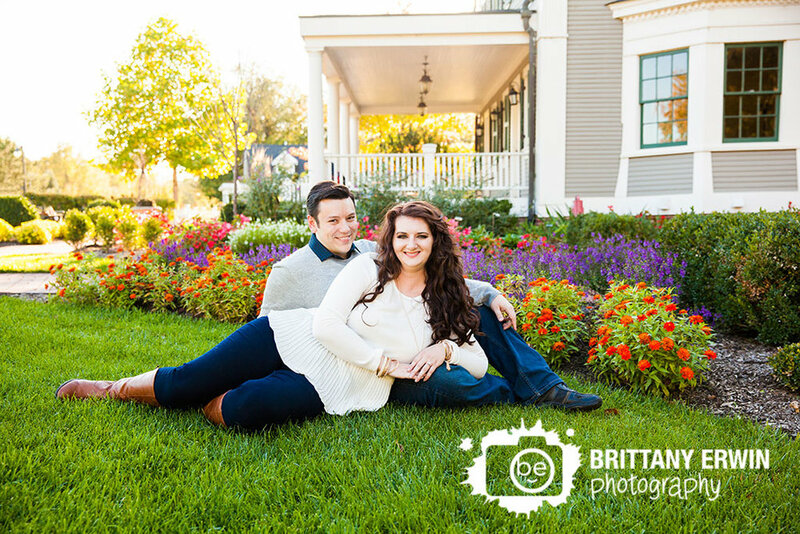 I just loved everything about their engagement session out at the lovely Historic Ambassador House up in Fishers. 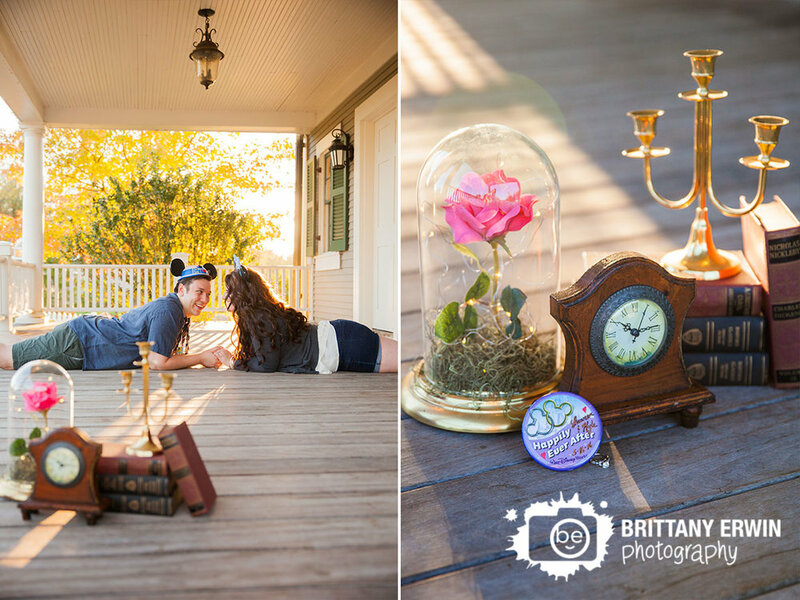 It was the perfect backdrop for their session complete with their very own Cogsworth, Mrs. Pots and other key characters from the beloved movie. I had such a hard time picking favorites from this session so there may be a few extra than normal. <3 Enjoy!